Create the perfect resort-style outdoor living area to enjoy all summer long! Designers are bringing the indoors out this summer with furniture setups comparable to that of luxe indoor living spaces. Retro wicker accents make any patio feel a bit more stylish and colorful textiles add a great pop of color without having to make major updates to your outdoor living area. Photos via Alice and Lois. Indoor Living-Style Furniture. This summer is all about bringing the indoors out. Large, plush furniture that looks suitable for an indoor living space is something designers can’t get enough of in 2018. Cushy living setups for lounging with friends and family create an outdoor haven. Photos via The Style Files. Cool Tones. Cool, beach house-inspired tones create the most sought-after palette for outdoor living this summer. Reminiscent of the east coast, light blues to navy hues will make your poolside patio feel like a luxurious retreat. Retro Wicker. Wicker has weaved its way in and out of patio decor for years, but this summer it’s making a statement in the most retro of forms. Imaginative retro designs crafted with colorful wicker are a great way to add affordable style to any outdoor living setup. Whimsical Lighting. Mellow lighting creates the perfect atmosphere for evening cocktail hours, cookouts, birthday parties and romantic evenings under the stars. 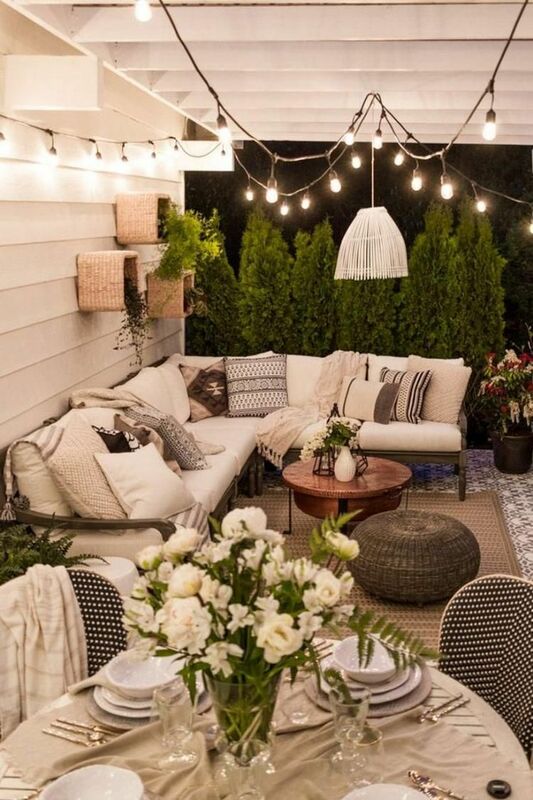 String lights, luminaries and slews of candles will add the chic warm glow your patio needs for entertaining this summer. Colorful Textiles. If you’re in a time crunch, quickly adding layers of colorful textiles to your outdoor living space will give your patio a facelift without having to replace larger pieces. Woven blankets and printed pillows are the quickest way to add some visual interest. Whether you’re in the market for major updates or minor tweaks, these trendy summer décor ideas are perfect for any outdoor living space. 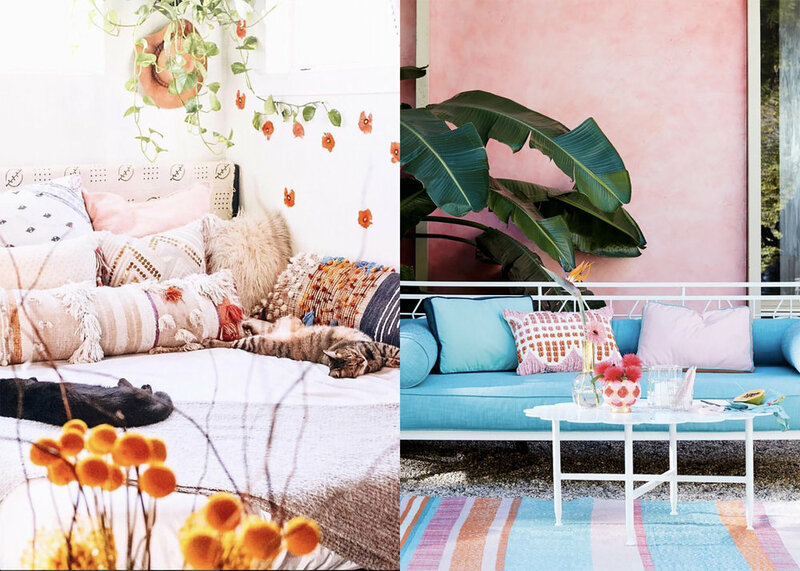 Create a backyard haven that evokes the same sense of paradise found at your favorite retreat with cool beachy tones, funky wicker finds and plush outdoor furniture.